The website is undergoing a massive overhaul. ;) It's soooo exciting!!! I'll be working hard though the Holidays getting ready for the BIG UNVEILING in January! A new look! New products! New offers! And new client programs! I can't wait. I really am so excited to be bringing all the great and exciting things I have planned to my clients, old and new! While the website will be closed the next few weeks, you can still reach me at my email whitney@whitneymccoyphotography.com or call me at (801) 735-8365. I will still be available to answer all inquires and questions. Until then.... Merry Christmas to everyone and have a safe and Happy New Year!! Mini Sessions are for up to 5 people (each additional person is $10), they last 30 mins, and take place anywhere within 40 miles of my home. They include a CD, with full printing rights, with the top 10 images from your session. Meet Lara of Lara Douglas Photography. She was the one responsible for OUR family photos this year. 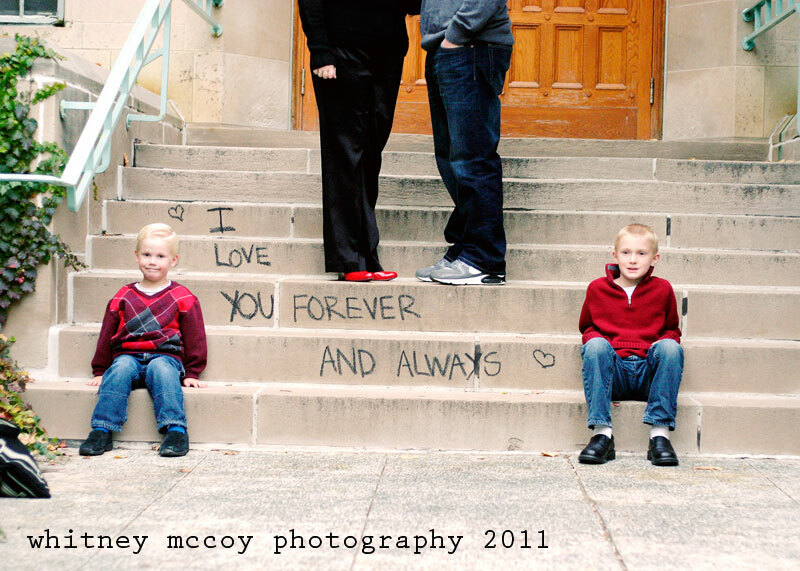 :) And I got the chance to shoot her cute family again this year. Thanks for the fun session guys!! *Disclaimer: There were some issues with Blogger making my photos looks SUPER grainy and "noisy", BUT... I figured it out!! (happy dance) So, hopefully they will look better on here from now on. ;) And I realize some of these may still look grainy/noisy. I figured it out after I posted these. I have a small obsession with Cider Mills. ;) This one specifically..... *sigh* The light..oh the glowing, romantic, beautiful light! I've shot here more than a few times (even had my OWN family portraits taken here) and it never disappoints. The fact that this mama was positively stunning and glowing didn't hurt either. ;) Thank you for asking me to capture this precious moment in your lives!! Congratulations again to the parents-to-be. The holidays are coming! Are you excited?! I am. ;) I love the holidays. The chill in the air, the hot cocoa in the mugs, the parties, the gift giving, the spirit that seems to be in everyone. 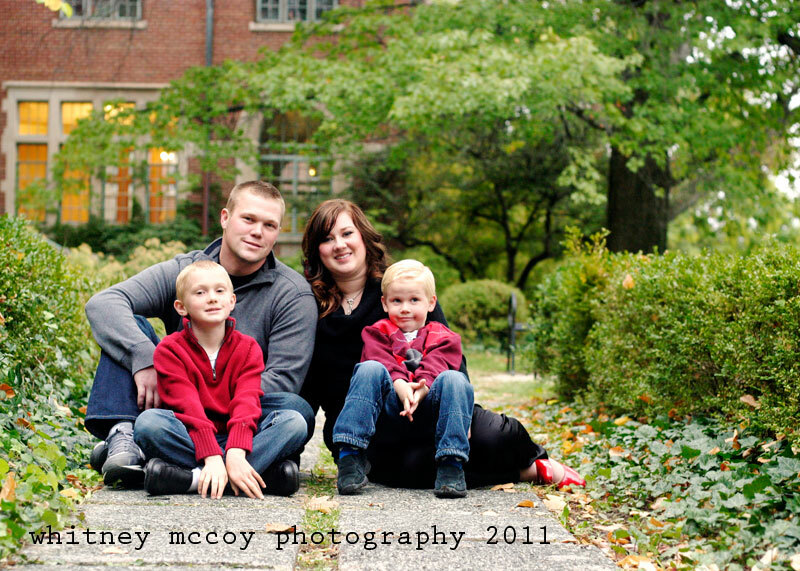 AND..... in keeping with the wonderful "giving spirit" of the season, I am GIVING away a FULL FAMILY SESSION, plus CD! Want to win?! Of course you do! And it's sooo easy! -Photos must be submitted before midnight, Sunday, October 16th. -Photos must be YOUR OWN! If it's a professional photo you MUST have the rights to use it. 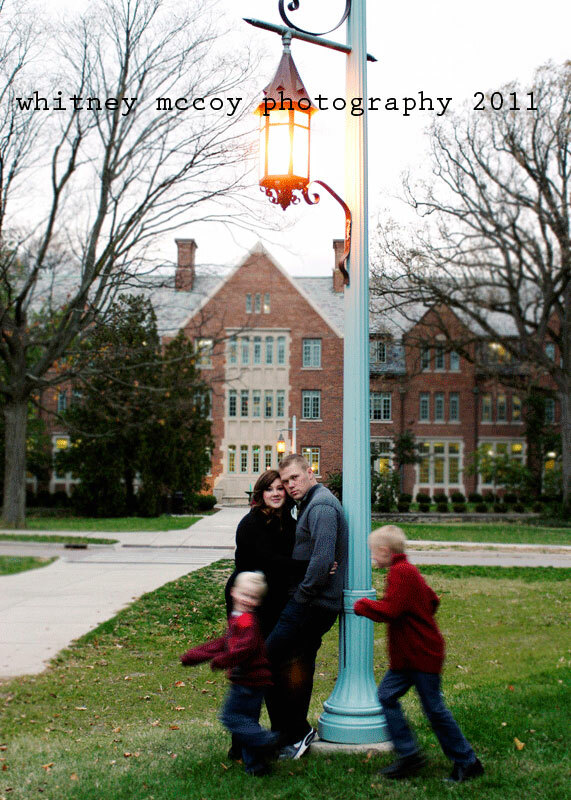 -You must live in, or be willing to travel to, the SE Michigan area for the photo session. That's it! Voting will run from Monday, Oct. 17th thru Sunday, Oct. 23rd. And the winner will be announced Monday, Oct. 24th! We had a great time... even though my little nephew wasn't really all that into it, we still captured some wonderful moments! EnJoY!! Fashion Friday... on.. Saturday.. ;) It's be a while since I've done a "Fashion Friday", so I thought I'd bring it back! Spring is in the air, and what better way to help bring in the fresh new season than with some fresh new portraits?! Perfect for Mothers Day gifts..... ;) Mini Sessions are available this weekend only, and CD's will be delivered by Tues, May 3rd. Limited number available! Book NOW to reserve your place!